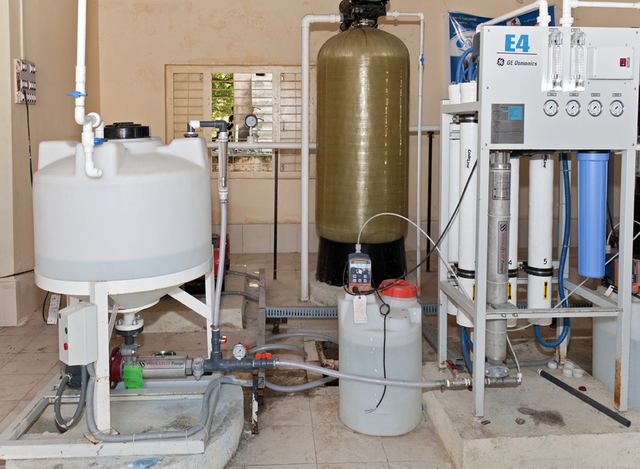 The village of Loyaj is one of eight small communities of coastal Gujurat state where pilot projects using complex reverse osmosis plants have been installed to desalinate well water to make it potable. When I visited in mid November 2010 the plant had been operating for three months. 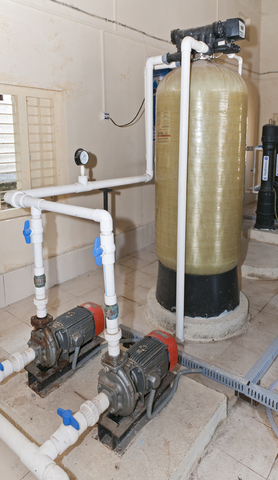 A distribution system is being installed to bring water directly to the 610 households via outdoor taps. For now, villagers come to the plant to collect water in special 20-liter containers. 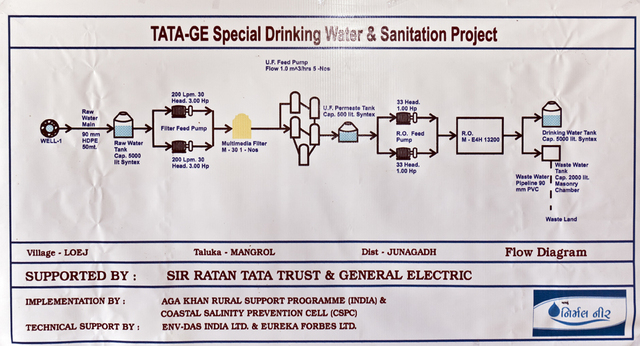 The Coastal Salinity Prevention Project, Aga Khan Rural Support Program and the Sir Ratan Tata Trust teamed up to bring the General Electric desalination plant to Loyaj. 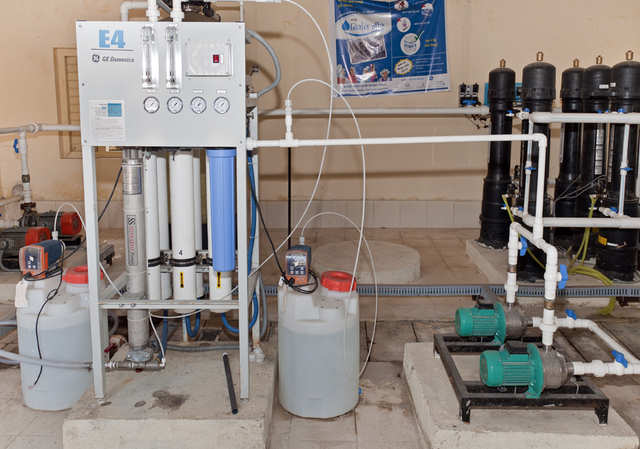 The project addresses a common problem for hundreds of coastal villages: salt water intrusion from the Arabian Sea into the groundwater up to several kilometers inland – a water source that is relied upon for irrigation and drinking. The well water in Loyaj was tested and found to have total dissolved solids, a measure of minerals, salts and metals in water, of 4,000 milligrams per liter, versus a recommended safe level of 500 mg/l. CSPC and its partners began working with Loyaj villagers 18 months prior to my visit. The investment came to 450,000 rupees. 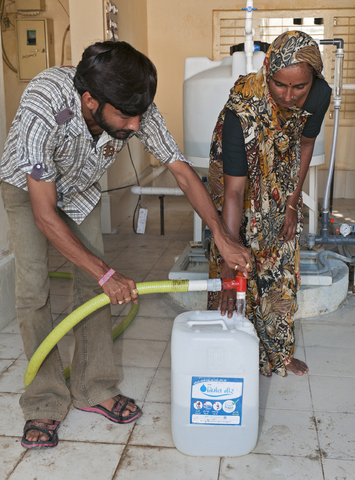 Villagers pay 80 rupees per month per household for 45 liters of treated drinking water. The system augments what rain water that can be collected from roof harvesting systems. 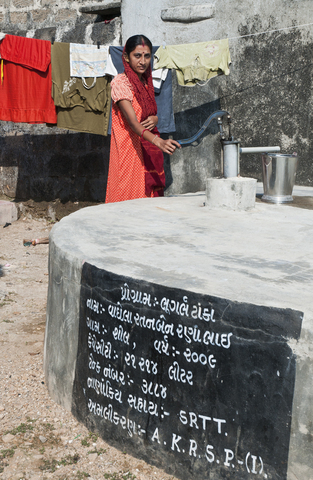 The treated water is better for drinking, according to Devi, one of the village women I spoke with. 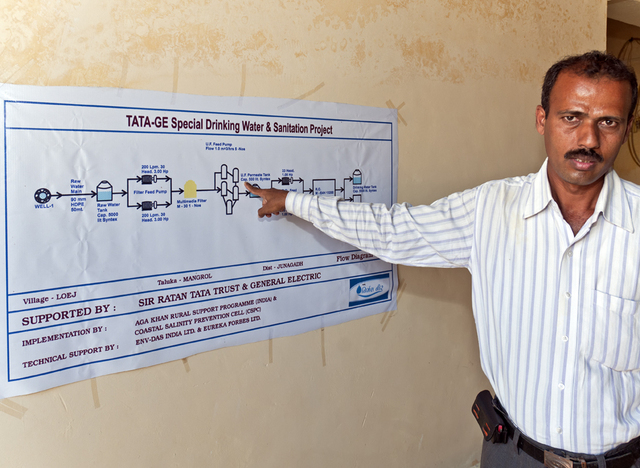 The desalination plant is operated by Manish, a village resident who was trained to operate the technologically-advanced equipment. I was connected to this project via BPN/PWX and truly enjoyed the visit; the hospitality has been awesome. Hope to visit India and this part again and see how this project has evolved and what the impact is. Finally, RO plant construction of 5000 litres capacity per hour is complete. Also, construction of 295 toilet units with 265 soak pit, 165 compost pit, 18 household level bio gas plants, 109 smokeless Chullahs and 1400 plantations is done. 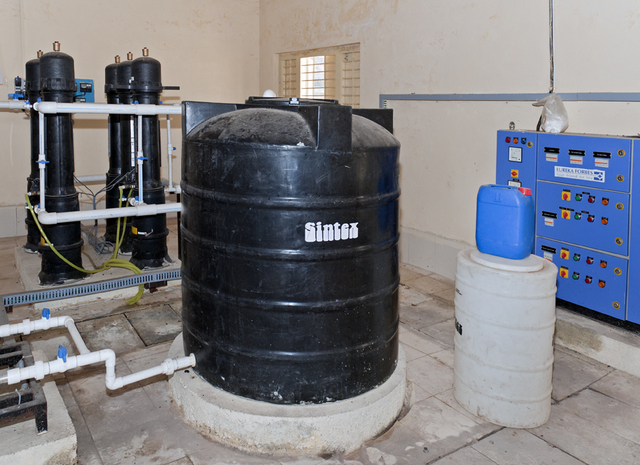 • Improved access to drinking and domestic water needs through provision of treated potable water. • Substantial reduction in drudgery and time of women for fetching domestic water. • Promotion of improved hygiene and sanitation practices like appropriate hand washing practices, daily bathing practices, appropriate domestic waste disposal system and improvement in health and environmental conditions. Refer the detailed village report attached. Detailed individual village level drinking water plans, based on the technological parameters – water quality (salinity levels), well yields, water requirements – drinking & domestic etc. 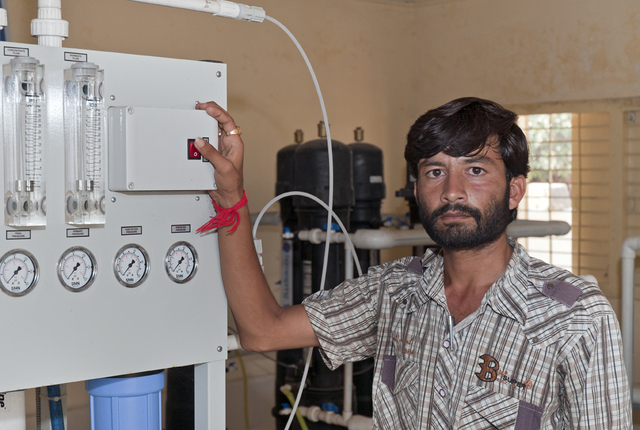 have been prepared and the RO plants have been commissioned in these villages. Building is almost complete and will be painted after RO installation. To make the project sustainable, comprehensive capacity building have been conducted to train and educate the village community to take over the responsibility of maintenance after completion of the project. 80% of the adults in the village were covered. f) Health & Education condition. The project will cover 10 villages across Mangrol block of Junagadh district and Porbandar block of Porbandar district. A total of about 5000 households (app 25,000 beneficiaries) would be covered across 8 villages. 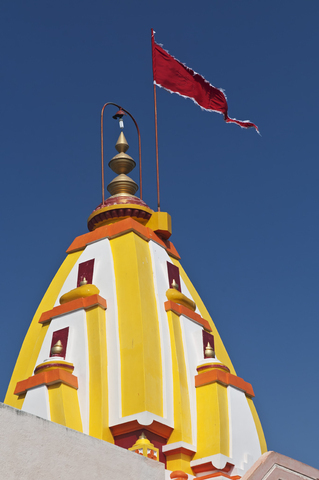 • Construction of individual HH level sanitation units, compost pits, soak pits, biogas/ NADEP units / smokeless chullahs. • improve access to drinking and domestic water needs through provision of treated potable water & substantial reduction in drudgery and time of women for fetching domestic water. Village 1 - Loyaj - 3500 population with about 500 houses. 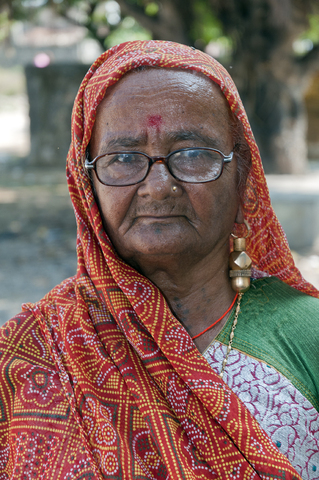 Old aged people form about 25% of total population in village.